Within each house, there’s the elite of the elite. They’re those regiments of soldiers that go above and beyond in training and equipment. When they hit the field, the enemy trembles. Nobody wants to see them across the battle lines. 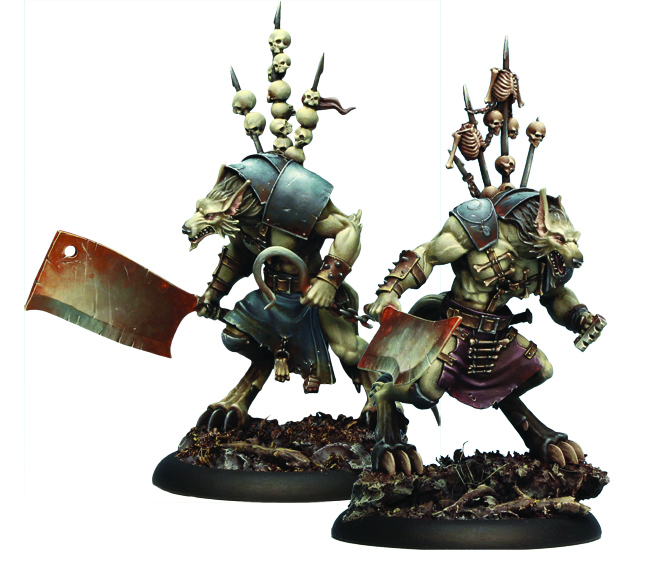 This month’s releases for Wrath of Kings gives House Goritsi and House Nasir each one of these elite units. 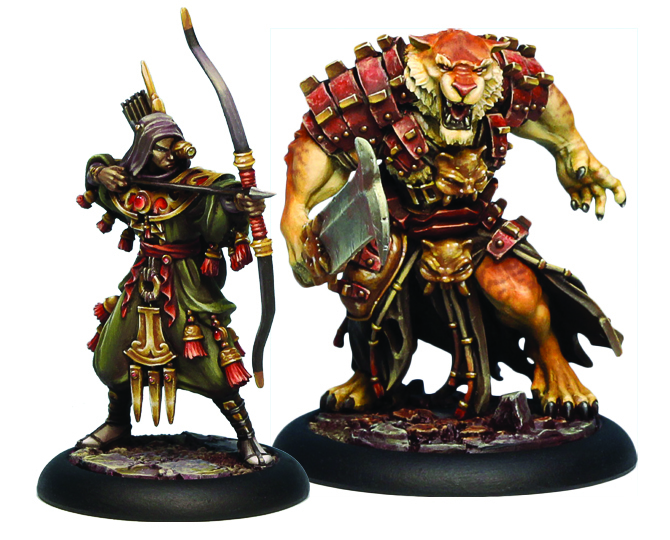 The winds of change are blowing, bringing with them new releases for the Teknes and Hadross factions. 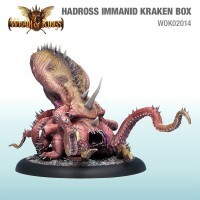 Down in the depths, the kraken has risen from the sea floor to attack those on land. Meanwhile, even the highly-unionized Teknes needs their leaders. Two new ones are making their way to the battlefield. 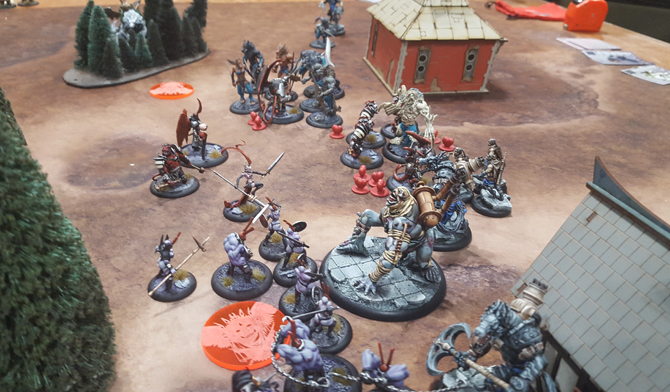 Bryan and Dave square off with the Celestial Host of House Shael Han against the ruthless forces of House Nasier! The CMON Expo 2017 Alternate Leader Promo Cards! 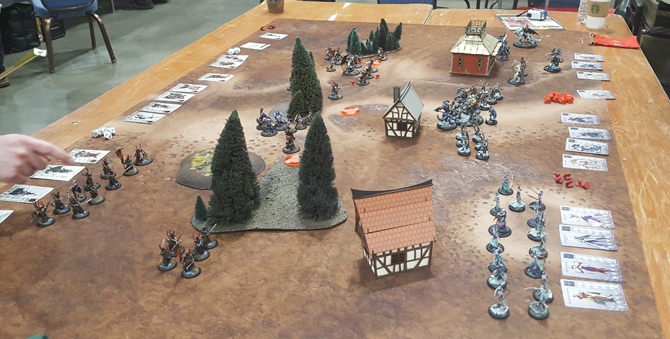 This past weekend, at CMON Expo 2017. We included a small pack of cards in every swag bag. 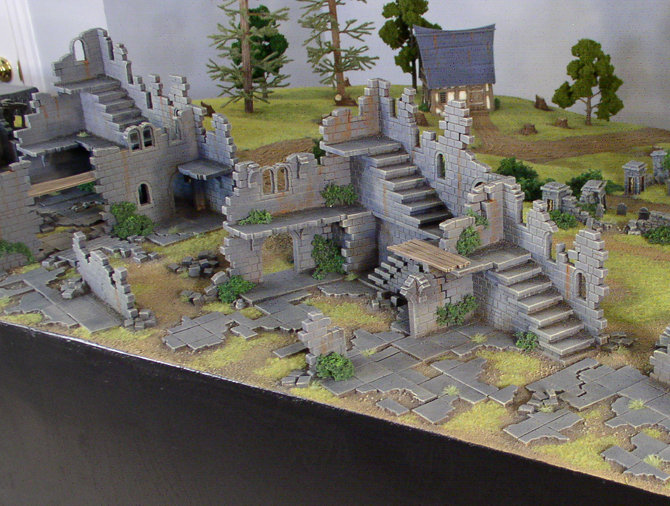 This was intended as a fun, bonus thing for our attendees, and you have all been very excited to get your hands on them. 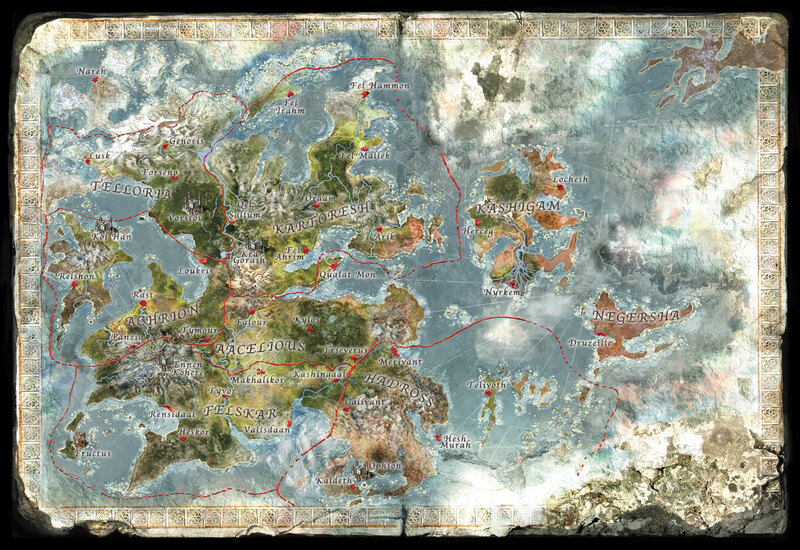 Well, we now have the downloadable PDF ready to go for everyone around the world to enjoy. Please note: these cards were put together after quite a bit of discussion, but only a minimum of playtesting, so we do not recommend them for use in competitive play. 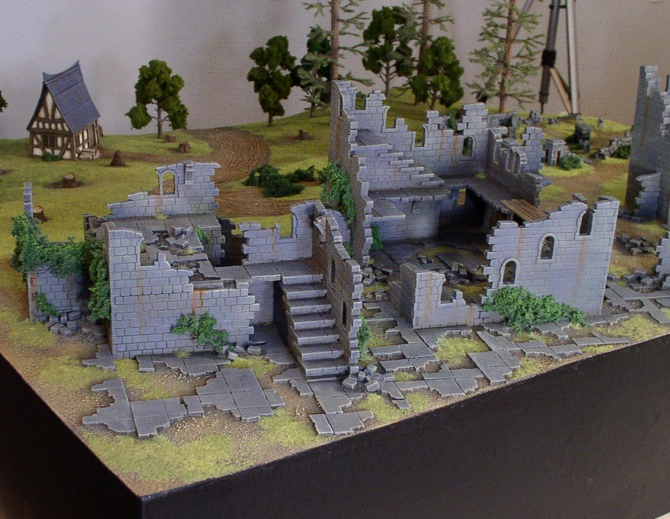 They really are another way to play with the models you already have, so have fun! To download them, please go to the Downloads dropdown menu at the top of this page and click on the Promotional Cards tab. Delays on our May Releases. 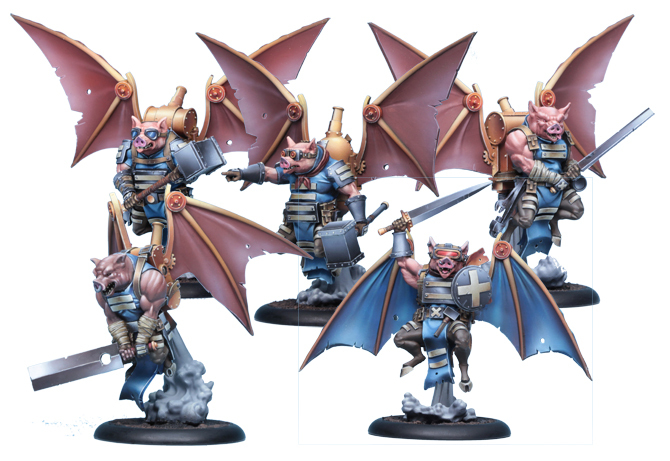 Despite what the wings might suggest, the containers holding our May releases (Union Bombardiers and Hadross Characters) have been delayed. 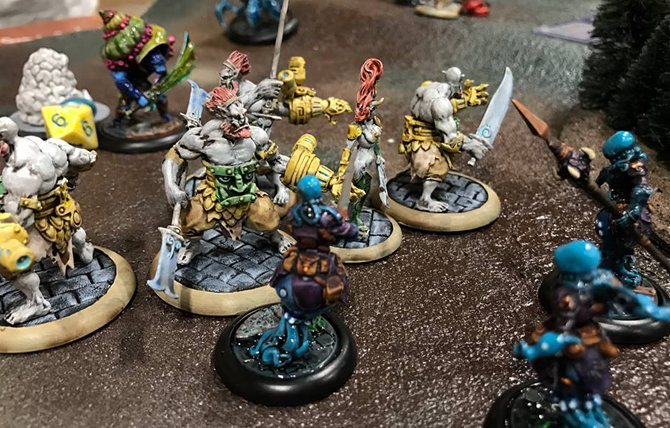 We’ve only just learned that the quantity of boxes in currently in our warehouse would not cover distribution to all of our retailers and distributors, so we have decided to delay the webstore release of these sets too. We have more boxes incoming, and will make an announcement as soon as we have information about how we can get them to everyone at the same time. Our apologies for this delay. 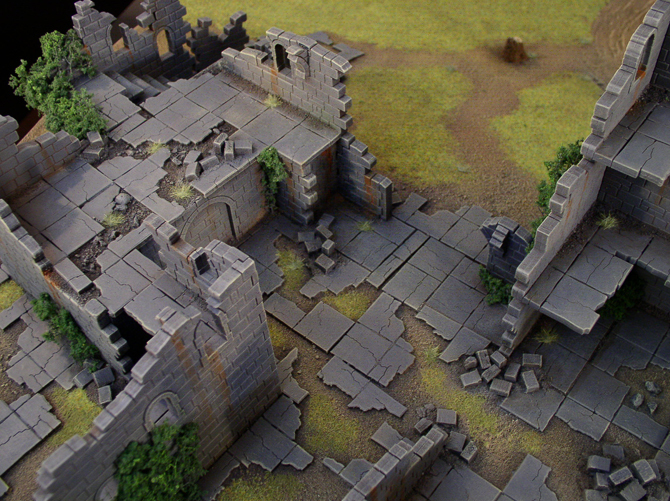 Typically we would release Battle reports on New Release Day (which, for May, will occur in a few weeks). We have recently been talking about this schedule and we felt that perhaps you’d like to see them a few days earlier. 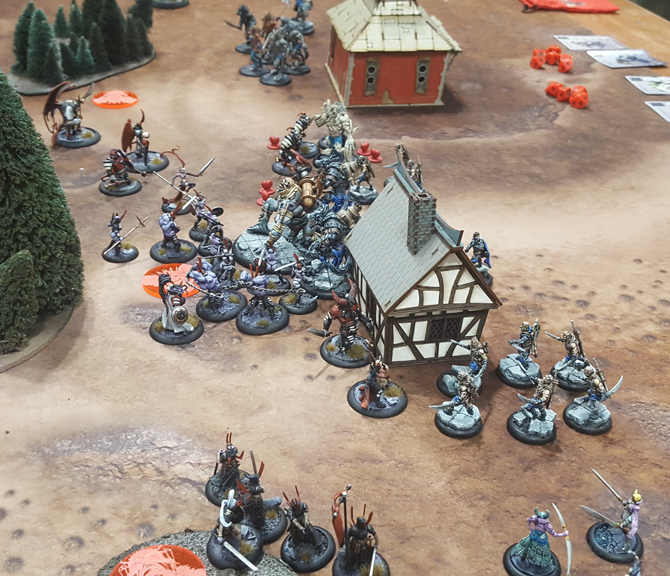 In this report, Bryan takes his House Hadross force up against Dave running House Teknes. 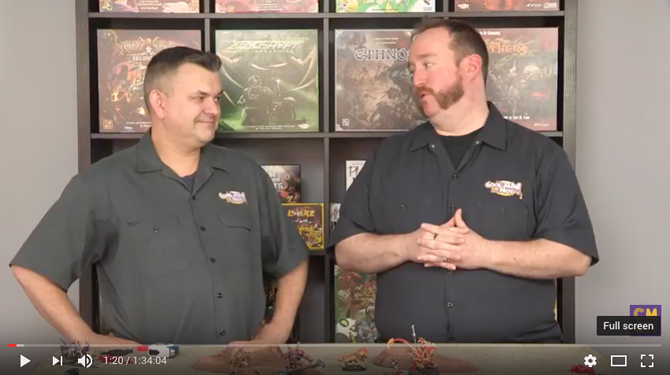 We’ve made sure that the new releases (Sylla and Voth for Hadross and the Union Bombardiers for Teknes) are front and center, so you can see them in action. Click on the image above to take you to the report. We hope you enjoy it. 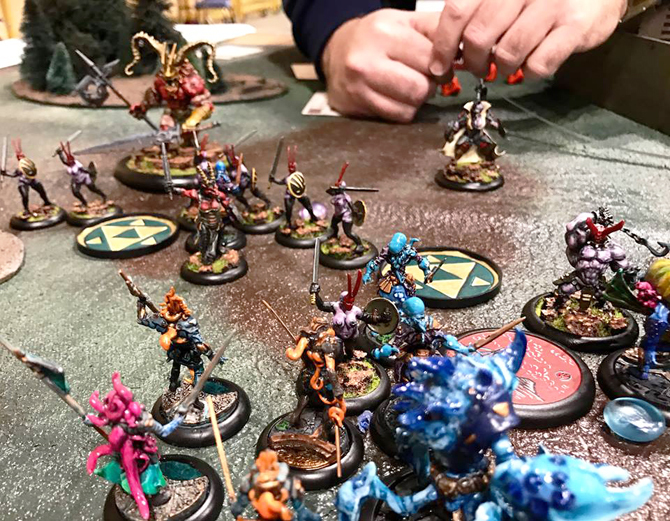 The April Releases are here! 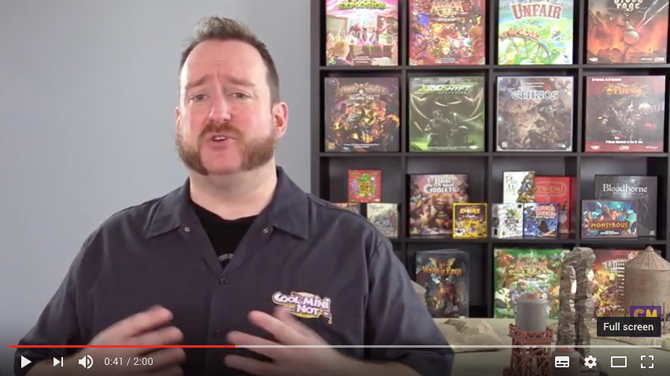 Click on the image above to go through to the April Releases Intro Video from CMON’s Miniatures Brand Manager, Bryan Steele. It’s that time again, we can finally unleash the New Releases for April. Our apologies for the delay on getting these to you, but our recent warehouse move impacted quite a few things along the way. 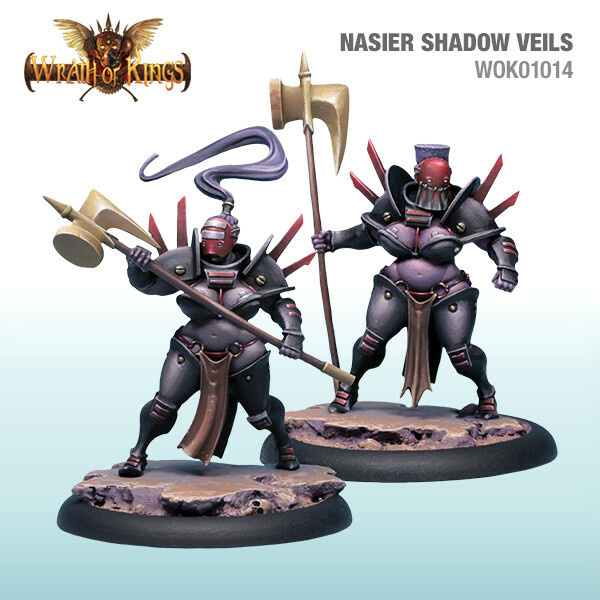 Check out the Executioners and the Shadow-veils in our webstore by clicking on their names in the descriptions below AND scroll down for the Nasier vs Shael Han Battle Report! 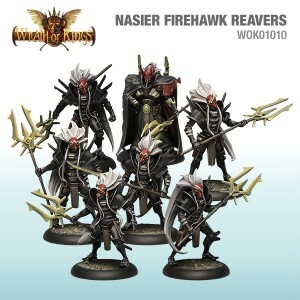 Hailing from the Moonclave sept from the far northern parts of Telloria, the Executioners are masters of finishing off foes already wounded by others on their army. Armed with hooked chains for dragging in their victims, the Executioners polish them off with massive cleavers just perfect for removing heads. 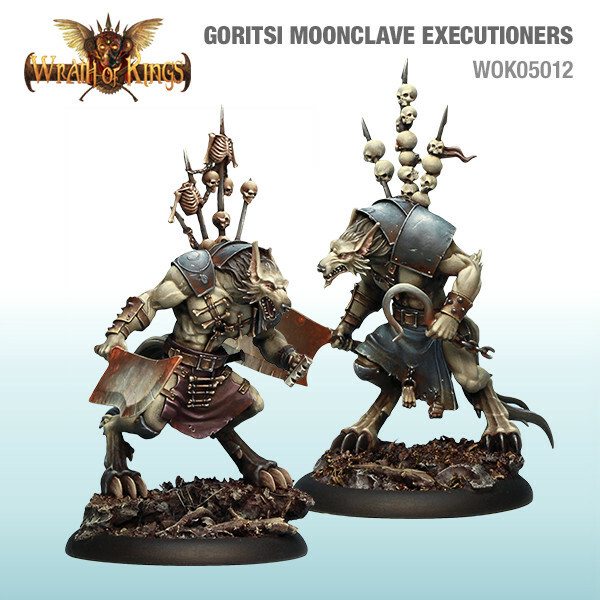 Moonclave Executioners are Rank 1 Specialists that would make a great addition to any Goritsi army. 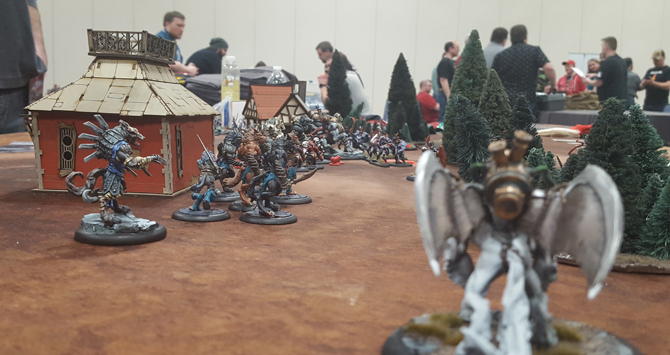 Most of the Moonclave Executioners’ special rules are focused on attacks against damaged opponents, so the ideal place for them is following along behind a pack of Skorza Skirmishers. 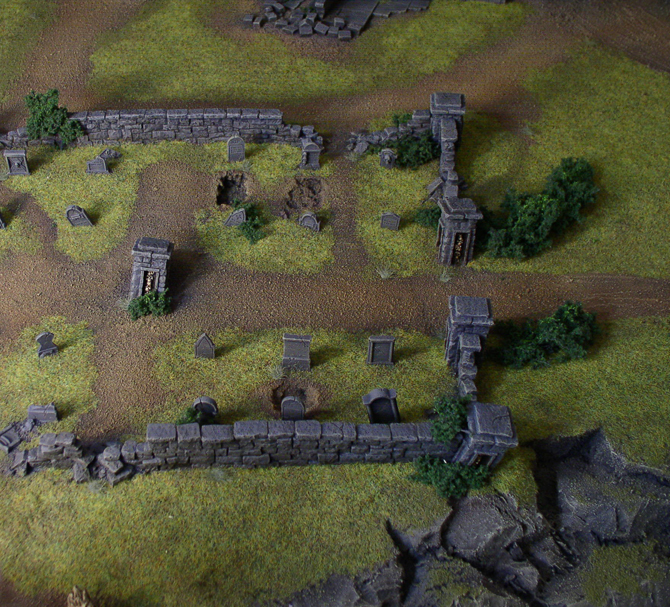 Attack first with the Skirmishers, and then disengage and move on. Sweep in with the cleaver-wielding Executioner to take down those wounded Leaders, Rank 2 Infantry, and Specialists. 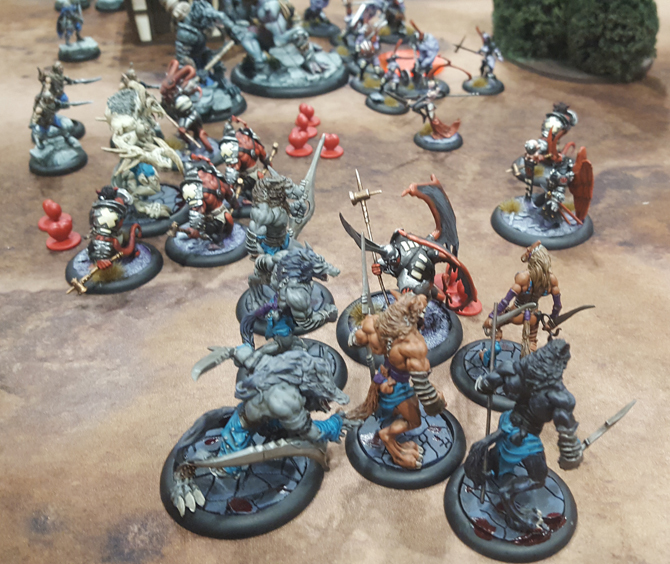 Box contains: two (2) Moonclave Executioner models, two (2) 50mm bases, and one (1) Wrath of Kings unit card. The Sarvoth Shadow-Veil masks, made by the Sarvoth temple in Qel Sallum, are relatively new and quite rare. Despite this rarity, they have been hailed for the incredibly high success rate for bonding with applicants. The masks not only strengthen the warriors and improve their stamina, but they also confer the ability to cast minor illusions, such as distractions that allow the Shadow-Veils to step away from engagements and strike for other angles. Sarvoth Shadow-Veils are Rank 1 Specialists that would make a great addition to any Nasier army. The Sarvoth Shadow-Veils are best used as escorts for high-value leaders and those attempting to strike deep behind enemy lines.. 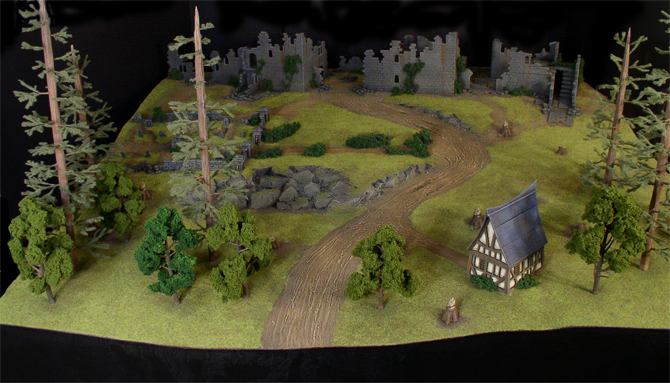 Box contains: two (2) Sarvoth Shadow-Veil models, two (2) 40mm bases, and one (1) Wrath of Kings unit card. 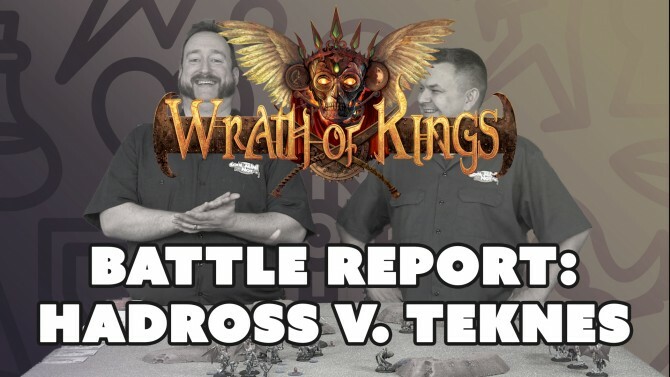 We are proud to present our first Wrath of Kings battle report in quite a while! 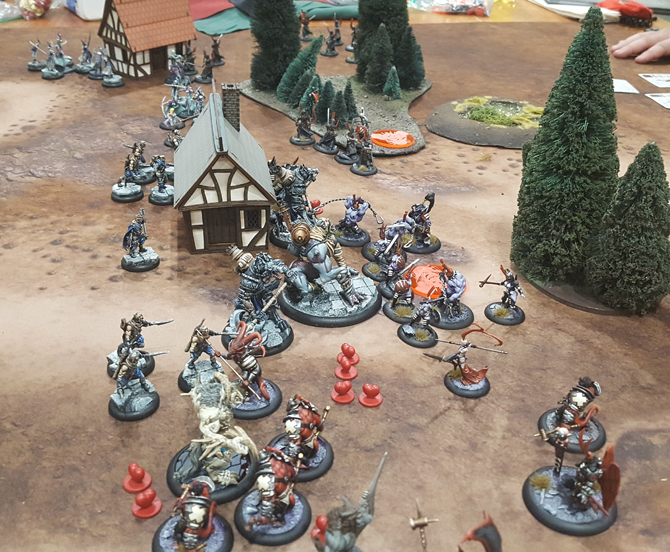 Bryan and Dave throw down with some Celestial Host against Pelegarth action in this (somewhat lengthy) game. Click on the image below to check it out. Originally we had hoped to unleash our April releases last Friday, but with the warehouse move finally settling down, and various changes at our new facility being ironed out, we felt it would be better to wait another week. So, here you go. 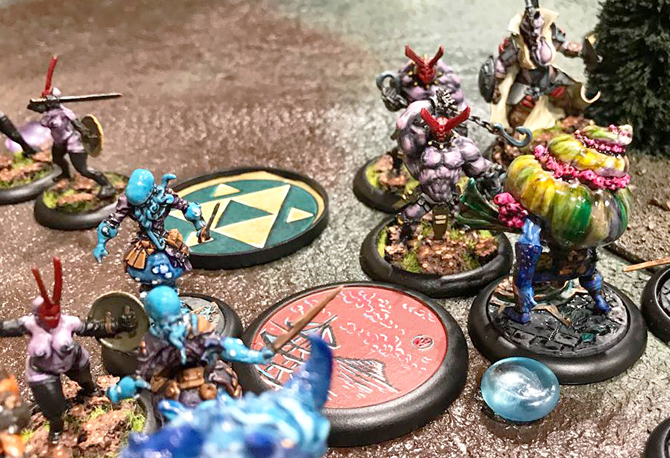 This Friday we’ll be releasing the Goritsi Moonclave Executioners (above – $30 a box) and the Nasier Sarvoth Shadow-veils (below – $15 a box). 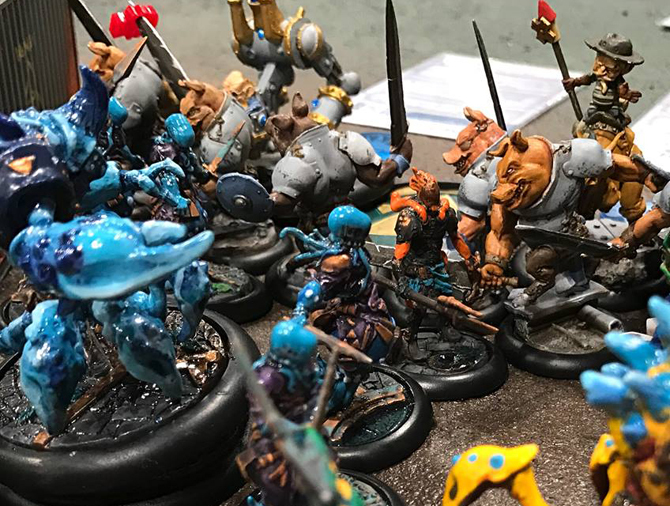 We’ll also have a new Wrath of Kings battle report that pits House Nasier (run by Dave Taylor) against House Shael Han (run by Bryan Steele). We hope you enjoy it. 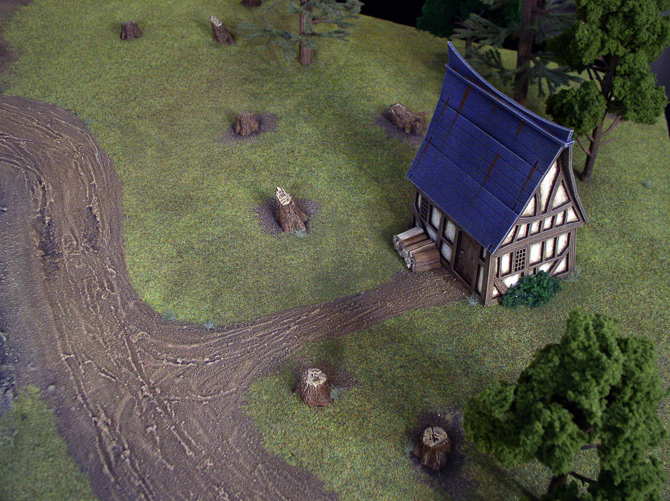 In the coming months we have something for the other Houses, including possibly our all-time favorites, the Union Bombardiers! Keep an eye out on Friday for the release details and links etc. Until then, happy gaming!